Income-Tax(IT) department today raided Uttar Pradesh Chief Minister Mayawati's favourite businessman Ponty Chadha, carrying out simultaneous searches at 19 of his premises in Uttar Pradesh and Delhi. I-T officials are working on leads that funds from West Asia may have flowed through the hawala route into Chadha’s businesses that have now been consolidated under an umbrella entity, Wave Inc. The rise of Chadha’s business empire, whose interests spread across liquor, sugar mills, multiplexes and malls, distribution rights of Bollywood movies and construction, has been significant during the last three years. The Chadha Group, now known as Wave Group, is one of the fastest growing business entities in Delhi and Uttar Pradesh. It has diversified its business interests from liquor to malls. 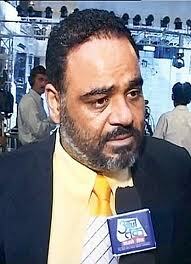 Who is Ponty Chadha: Gurpeep singh chadha, better known as Ponty chadha is a reclusive head of privately held wave group, which controls the wholesale liquor trade in UP as well as about Rs. 4000 liquor shops in the state. Chadha group also owns Malls ( including centrestage mall in noida), night clubs, sugar mills, paper manufacturing factories and coca cola bottling plan in punjab. Chaddha group also produced movie like chupke chupke and Jo bole so Nihal. The Income Tax department has been misled and it is evident that with no cash seized from Chadha group companies/ concerns, these raids were simply to malign the rapport of a fastest growing conglomerate.